Shipping Dimensions: 3" x 11" x 12"
1 Inflatable Heart, 15 LED Lights, Battery Box Cover, Crafting String, Glow in the Dark String, Tassel Making Tool, 4 oz of Craft Glue, Disposable Craft Gloves, Plastic Straw, Twist Ties, and Instructions are included. What's not to love about this craft? 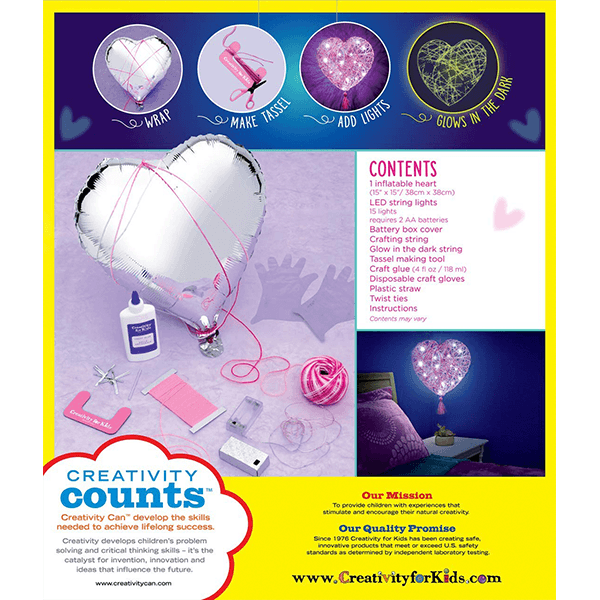 We give you everything you need to make your own heart-shaped light up lantern. So fun, so easy, so beautiful! Lantern glows in the dark and features a battery operated 15 LED light string. 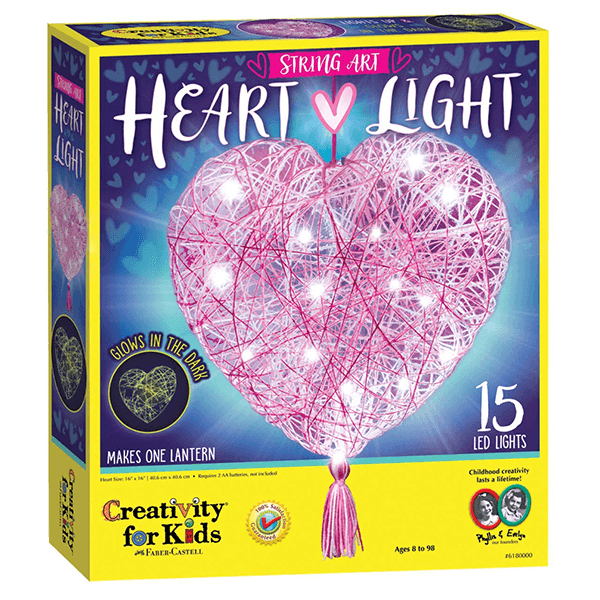 If You Liked Creativity for Kids String Art Heart Light Kit, See More Related Products Below!